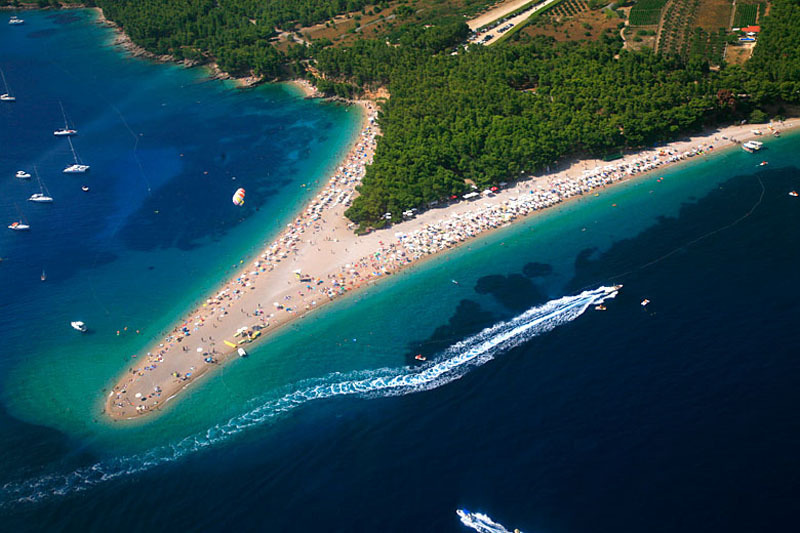 Bol, Brac, Croatia | Where to Vacation? It “grows” with the depositing and sedimentation of small gravelly pebbles around the underwater reef. 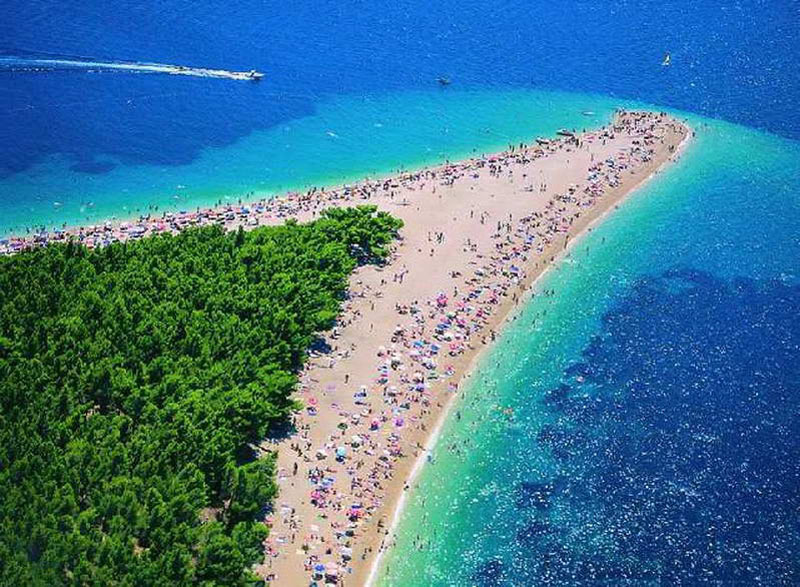 The point of the Zlatni rat (Golden horn) changes shape, attempting to conform to the will of the waves and gentle sea currents. 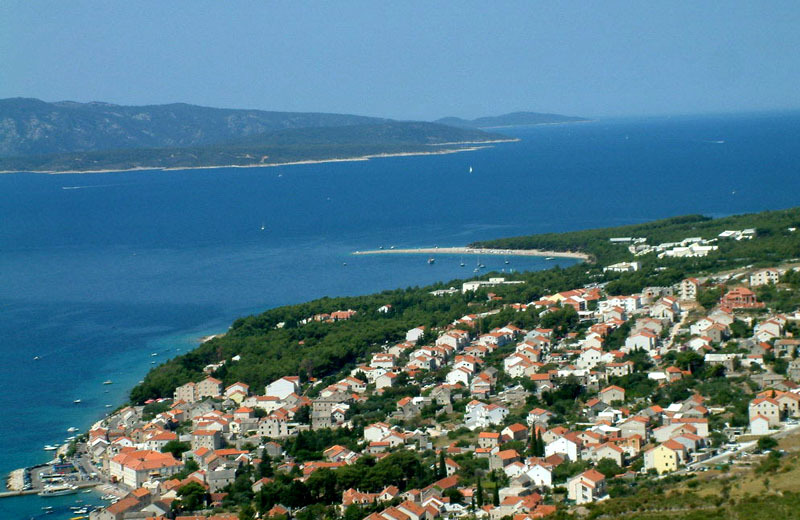 Bol is the oldest coastal settlement on Brač. 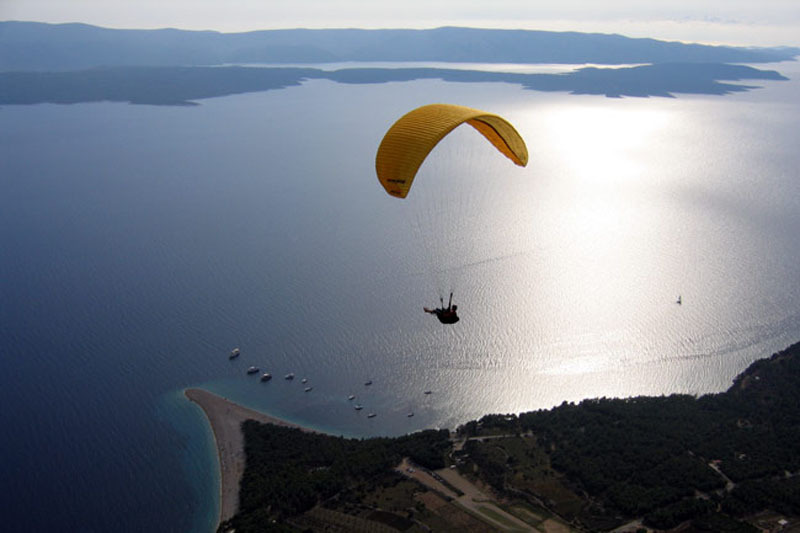 It exists in the solitude of the southern landscape, at the foot of the Bol crown and Vidova Mountain – the highest island peak and at the same time the highest point of all Adriatic islands (778 m). It stretches few kilometers along the coast. The sea in front of it is crystal clear, transparent waves resemble a cut crystal. Bol has many beautiful beaches. 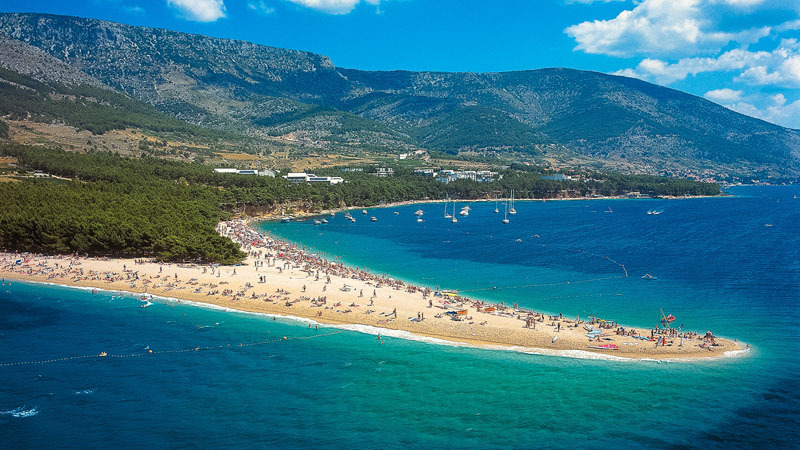 To the west from Bol lies the beach Zlatni rat (Golden Horn) one of the largest and most beautiful attractions of the Adriatic. Like a small tongue it extends nearly half a kilo-metre into the clear blue sea. Dominican monastery, rising in the holy peace is located on the east side of Bol, at the peninsula Glavica. Its museum has a rich archeological collection and diverse valuable objects and paintings.The urban core of Bol is shaped along the port. There are baroque summer residence, Loza with a little church, renaissancee-baroque palace with an art gallery inside it, parish church, little market and Kastil. Stylish buildings modestly fit the harmonious houses made in the original national architectural style. The west side of the settlement has been built more recently. 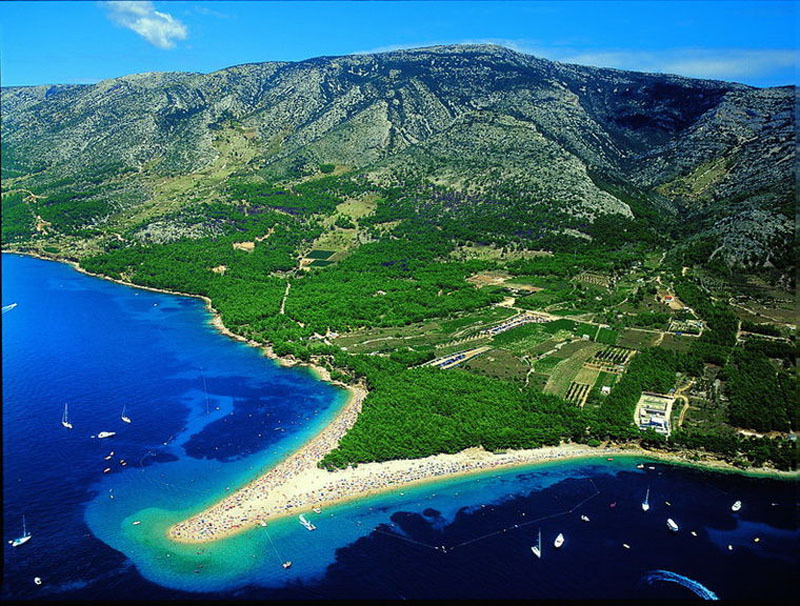 The mainhotels in Bol are located in the area towards Zlatni rat. Bol is a locality of exceptional maritime benefits. Its coast with numerous corners of peace and pleasures gives a feeling of a large free space, is created for meditation and relaxation but also for active holidays. The scent of medicinal sage and rosemary under the sunny slopes,and chirring of crickets is the deepest primeval music. In this area, each visitor will be able to enjoy himself/herself. Once upon a time Bol was a settlement of wine-growers, fishermen and sailmen, and today it is primarily a tourist settlement. People are direct and original. This popular Brac settlement has a developed network of modern hotels and diverse accommodation in private houses, apartments and camps. In regard to catering-oriented activities, there are several clubs, a surfboarding school, a sailing and diving school, a large tennis centre, various sports courts, fitness center and many other facilities. 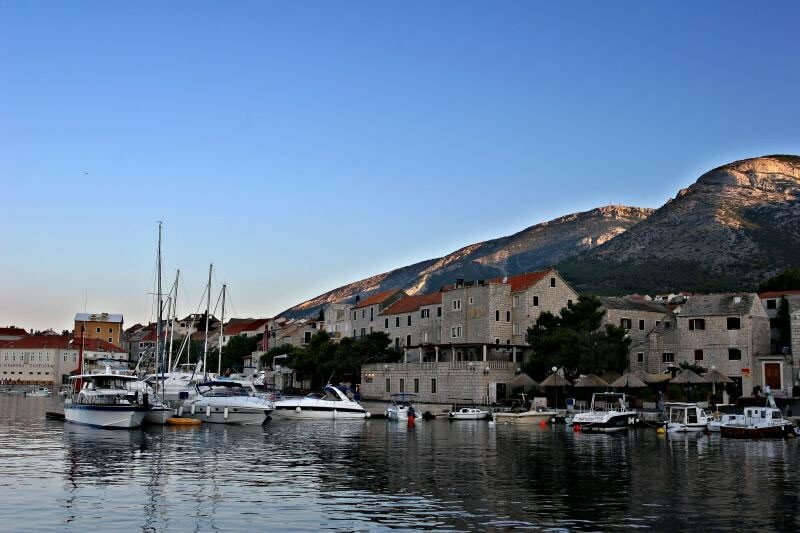 Bol is the favorite destination for excursion boats and yachtsmen, and has a special berth in port for yachts. As an attractive tourist destination, Bol promotes its recognizable cultural identity and peculiarities which delight the visitors. Wider area of Bol is a space with large recreational capacity, with unique cultural-historical, monumental and folklore elements and an original combination of “continental” and maritime ambient. Small Murvica, with vineyards and beautiful beaches is a true idyll of Bol. It is known for its desert monuments’ remains, especially for Zmajeva spilja (Dragon’s cave), a miniature church within the cave with caved reliefs and religious characters. Blaca, under the steep cliff within Brac’ roadless region is impressive for its monumental and harmonious structure in which recluses placed stylish furniture, piano, valuable paintings, library, collection of antique weapons and antique clocks, a telescope. The monastery has existed continuously for four centuries, and today it is a unique cultural monument of human effort and human endurance which as an ethnologic exhibit is motivational for modern life. 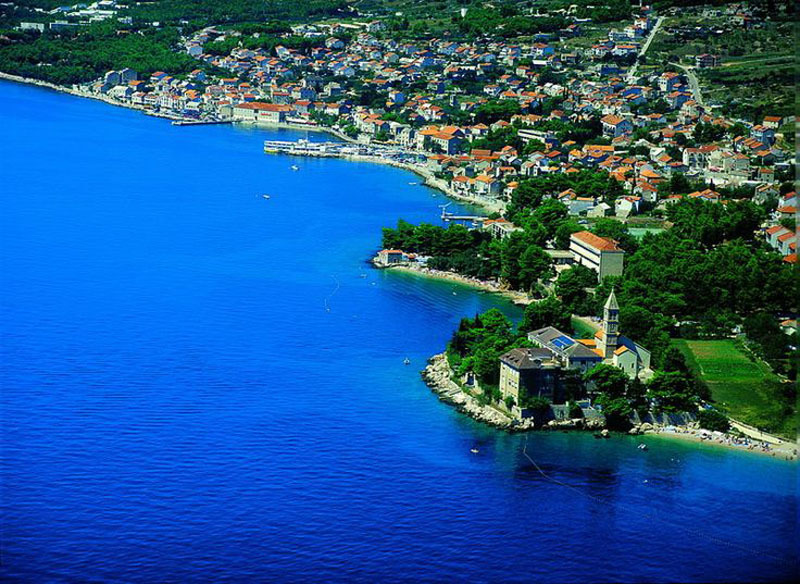 Gornji Humac and Pražnica are settlements situated in the upper part of the island. They are popular visiting sites for their specific atmosphere, island specialties and other interesting points. 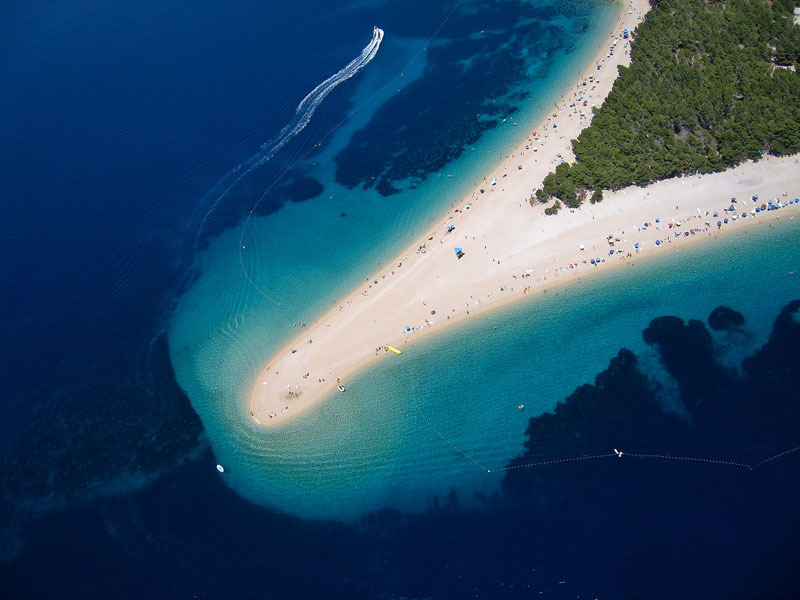 When staying at Bol, you should definitely visit Vidova gora and also visit and experience the entire island which during summer creates atmosphere of life’s enjoyment and indulgence. Pingback:Split | Where To Vacation? 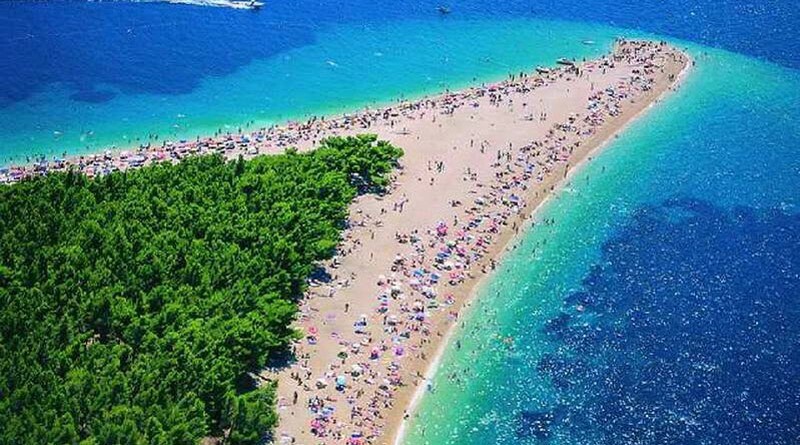 Zlatni rat is the best! Copyright © 2019 Where to Vacation?. All rights reserved. Hey Buddy!, I found this information for you: "Travel the U.S. [Infographic]". Here is the website link: http://www.whereonvacation.com/2017/03/travel-the-u-s-infographic/. Thank you.